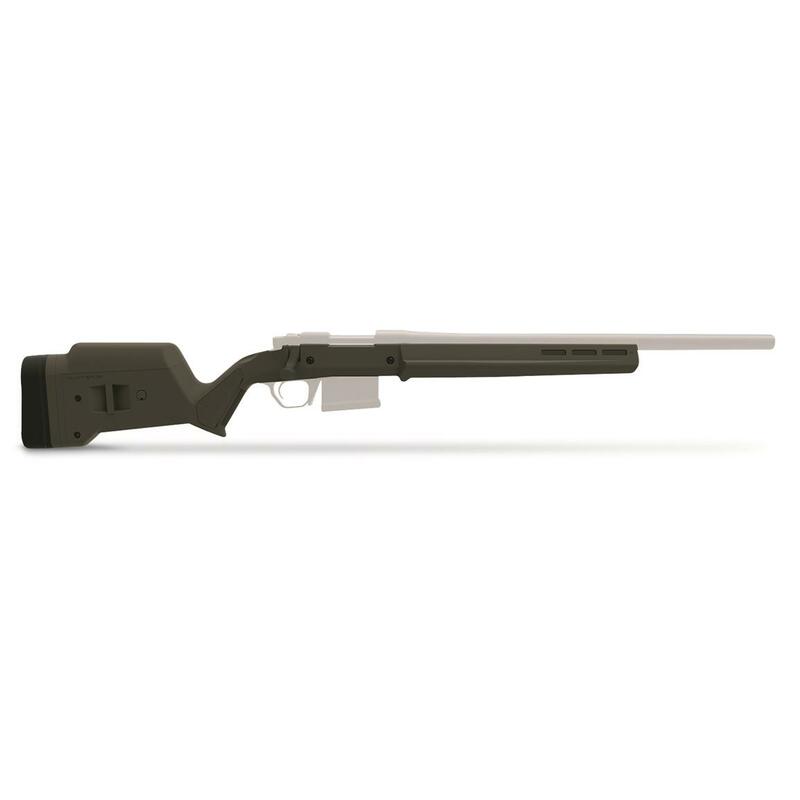 Magpul Hunter 700 Stock, Remington 700, Short Action, Gray or Olive Drab is rated 5.0 out of 5 by 1. Rated 5 out of 5 by Skeeter from Great Stock I ordered the Olive Drab color stock after reading numerous reviews about the stock. The rifle dropped right into the stock with no issues. Everything fit perfect, and the barrel is free floated all the way to the action now. I have the Rem700 Varmint SF in 308. I really like the feel of this stock, and I like it so much that I'm considering putting my 300 Win Mag in a Long Action MAGPUL Stock as well. On top of that, the stock is tough and ridged. The rifle feels indestructible now.